Optima is one of the country’s most well-known tax relief services, and their competitors include companies such as ALG, Tax Defense Network, and Tax Defense Partners. The benefit of working with Optima is that their staff includes tax attorneys, enrolled agents, and certified public accountants, all of whom can represent a taxpayer before the IRS. Those who need help with a tax situation should look for a tax relief company that is legitimate, responsive in their communications, and have a reputation for reliability. If you’re in search of tax debt relief services, you can choose from among many companies that provide the services. Optima Tax Relief is the most popular, but how does it compare to the other options available? Find out more about the services offered by Optima Tax Relief, then learn about how its competitors measure up so that you can decide which tax debt relief service provider is the most appropriate one for your needs. What Is a Tax Debt Relief Company? When the IRS informs you that you owe taxes, the situation can be quite stressful, especially if you owe a significant amount of money. Many people seek help from tax debt relief services through which professionals present your case to the IRS and negotiate on your behalf. Although many legitimate tax relief companies exist, many scams and fraudulent companies abound as well. Before choosing a tax relief company, do your research so that you can be sure you’re getting access to the professionals you need. First, you want to be sure that any tax debt relief company you choose is legitimate. Generally, a legitimate tax debt relief company will have tax attorneys, certified public agents, or enrolled agents to represent you before the IRS. 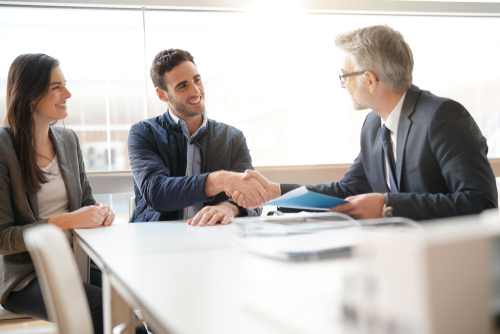 Retaining a “tax professional” isn’t enough, since only tax attorneys, certified public agents, or enrolled agents may legally represent clients to the IRS and speak on their behalf. Tax relief companies with multiple types of tax representatives are more beneficial as well. Different representatives have different specialties or areas of expertise. Tax attorneys have a thorough understanding of tax laws, certified public agents have an in-depth understanding of the financial aspects of tax laws, and enrolled agents are comfortable and experienced with the logistics of working with the IRS. Choosing a company with multiple types of representatives gives you the best chance of getting the results and outcome you’re seeking. Tax debt relief companies that have been in business longer are more likely to be legitimate. Scams exist, of course, but it’s difficult to stay in business for years if you’re not providing a valid service to clients. A company that has been in business for a while is clearly capable enough to continue signing clients looking for tax debt relief. It’s better to choose an established company for the negotiation experience as well, a decision which will work to your benefit. Dealing with tax debt is a big deal, and you’ll want a tax debt relief company that makes you feel comfortable and secure. Many companies offer a free consultation, or they will at least answer some questions and provide information over the phone. During this consultation, pay attention to the service you receive. Are the representatives knowledgeable? Is the information they provide thorough? Are they taking the time necessary to answer your questions, or are they rushing you off the phone? You should also pay attention to whether the representatives need more information from you to answer simple, straightforward questions. For general inquiries, you shouldn’t need to provide them with much personal information. A knowledgeable representative should also present you with multiple options and solutions for your tax debt issues. Tax debt relief is a stressful and expensive process, and you want to know that the company you choose has friendly, helpful representatives who will be there when you need help the most. You don’t want a representative causing you more stress than you already have. Whether through phone calls or email, check the responsiveness of your potential company and see if it’s quick to follow up with you. Its responsiveness will let you know that the company will most likely be able to help if you encounter any problems. You should also pay attention to the professionalism of the representatives and their service standards. Ideally, you want a company that will give you the same level of service no matter what time of day you call and what representative you encounter. Receiving a notice from the IRS is understandably stressful, but you don’t want to ignore it. Whether you opt to hire a tax debt relief company or deal with the IRS yourself, taking some action is better than doing nothing and having the IRS place liens on your assets. The advantage of a tax debt relief company, however, is that it will work upfront with the IRS to both investigate your situation and determine what programs you’re eligible for. Keep in mind that some companies charge a separate fee for this investigation period, while some include it in a flat rate. Be sure you know what to expect with a price quote. You can also rely on a tax debt relief company to handle the negotiations for you, usually with better results. The company will help with payroll taxes, back taxes, tax liens, tax levies, wage garnishment, asset seizure, and other types of unpaid taxes or related issues. Keep in mind that legitimate tax debt relief services can help with all these tax issues, but they can’t offer you a guarantee. However, they will work hard to find the type of relief that works best for your situation. For example, you may be eligible for an offer in compromise, which involves settling for a lesser amount than the total amount you owe. An offer in compromise is contingent upon proving that you’re unable to pay the total amount you owe. If you can’t prove your inability to pay, you may end up with an installment arrangement, which means you’ll pay off your total tax debt over time in smaller payments. Innocent spouse relief is another option for certain cases, which means that your spouse may have filed taxes incorrectly or illegally. In this case, you will need to be proven innocent, but once you have done so, you will not be held responsible for your spouse’s actions. Finally, your tax debt relief company should be working to put your account into Currently Not Collectible status, which means that you can’t pay your debt because of financial hardships. The company should also be working for interest and penalty abatements and garnishment release. This work is done to prevent your interest payments and IRS penalties from adding up and to help you regain control of your accounts and assets. Regardless of which situation applies to your tax debt, a good tax debt relief company will be doing all it can to find programs you qualify for, relieve you of your debt, and find you the best option for your needs. Depending on your specific situation, you may be able to take on the IRS yourself, but that approach could leave you with an arrangement that isn’t ideal. A tax debt relief company has the benefit of years of education and experience in negotiations with the IRS. As a result, you have the best possible chance of getting relief quickly and with minimal hassle. Optima Tax Relief is one of the most popular debt relief options available. It offers three different types of tax professionals to help those with $10,000 or more in tax debt. This company will work on your behalf with the IRS, giving you comprehensive expertise when dealing with tax debt. 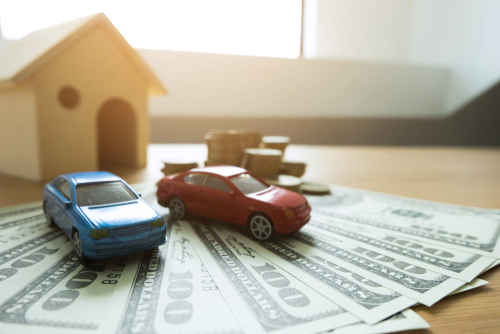 Whether you have federal or state tax problems, Optima Tax Relief works to protect you from liens on your property or credit or to relieve you of them if they’ve already taken effect. 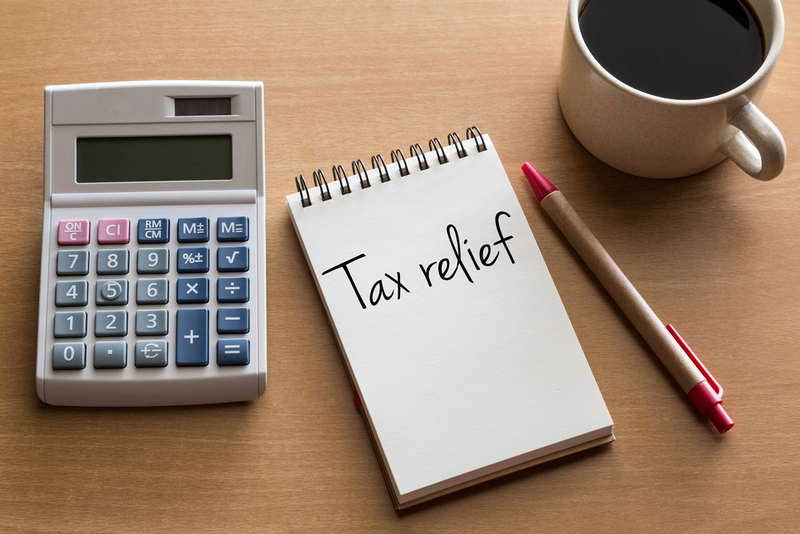 Negotiating with the IRS is one of the most challenging aspects of dealing with tax debt, but with Optima Tax Relief, you’ll have the benefit of experts negotiating on your behalf. This service may be able to negotiate for settlements such as an offer in compromise, which can lower the total amount owed, and arrange installment agreements to break up your tax burden into more manageable payments. If your spouse incurred a significant amount of tax debt, Optima Tax Relief can also help with Innocent Spouse Relief, which can relieve you of the burden and responsibility if you were unaware of the tax problem. You may also be eligible for an uncollectable status, which means that the IRS can’t collect on your debt because of your current financial situation. All three of these professionals are on Optima Tax Relief’s team. You can find a professional with the experience and knowledge necessary to help with your particular situation. These tax professionals use two processes to approach your tax debt relief. A protection and investigation phase takes place, which aims to protect you from liens and levies while your case is investigated. This service incurs a flat retainer fee. Phase two involves a team negotiating with the IRS on your behalf. The length of this process depends on your individual case and the work involved. The fees reflect a sliding scale for the complexity of the case. Another major benefit of Optima Tax Relief is that the company is reliable. Optima Tax Relief follows up on inquiries, communicates professionally, and is competent in both customer and tax relief services. Representatives are knowledgeable, thorough, and consistent, regardless of what time of day, week, or year you contact them. Located in Delhi, India, LoanRaahi is a technology platform designed to simplify legal and business matters to help startups and small business owners. LoanRaahi primarily handles tax issues and has more than 30 offices across India. Many of its professionals have more than 10 years of tax experience. Although this company has many professionals and generally favorable reviews, LoanRaahi doesn’t specialize in tax debt relief, but rather general tax services. 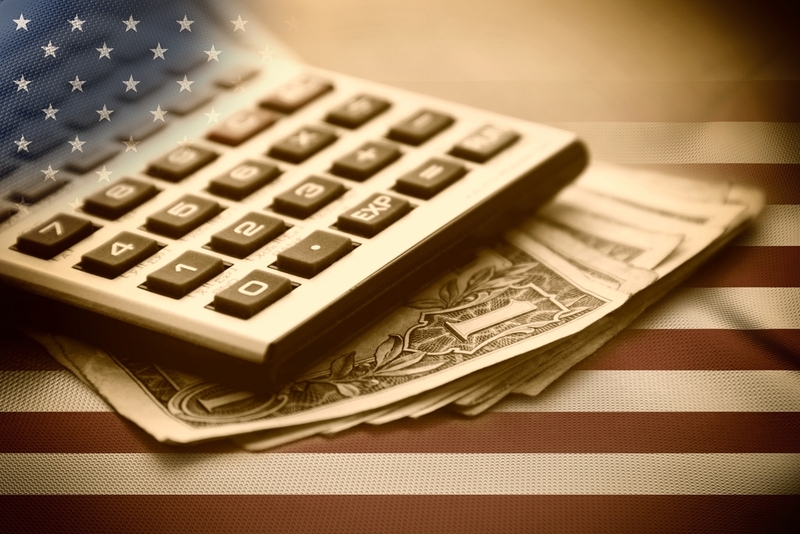 Tax Defense Partners is a company that offers knowledgeable and thorough tax professionals to help with various types of tax debt, all for a flat fee. The company has responsive, knowledgeable representatives, although it doesn’t follow up with initial consultations. The Tax Defense Network is another popular tax debt relief option. This company offers flexible payment options, guidance for both federal and state tax issues, and experienced tax professionals. Although the representatives for the Tax Defense Network are professional and knowledgeable, they fail to follow up on initial consultations, and they require sensitive information to answer questions. ALG Tax is a tax debt relief service with high-quality support and capable representatives, as well as three types of tax professionals to negotiate with the IRS on your behalf. You don’t need a minimum tax debt to use ALG Tax services, but it’s wise to keep in mind that since the company charges a flat fee, you may be better served by choosing another option. Optima Tax Relief offers the best combination of reliability, professionalism, cost, and capabilities. Regardless of which tax debt relief service you choose, however, be sure to do your research to ensure you’re working with a company that provides you with experienced professionals and reliable service. Having tax debt can be stressful and scary, especially if you owe significant amounts of money and are facing wage garnishment, levies, liens, or other judgments. Fortunately, many tax relief services are available to help with the process and protect you from the negative impact of tax debt. If you’re in need of tax debt relief services, Solvable can help. We can provide you with education about the tax debt relief process, put you in contact with trusted tax attorneys, and help you find a tax debt relief company that will keep your best interests in mind. Contact us today to find out how we can help you eliminate your tax debt and move toward a debt-free future. Delve into the resources available from the helpful professionals that make up the Solvable team. 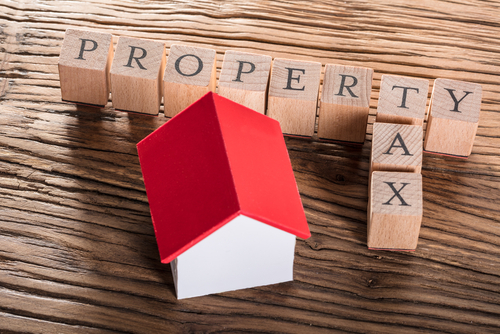 Next PostNext How Does Tax Relief Work on Rental Property?